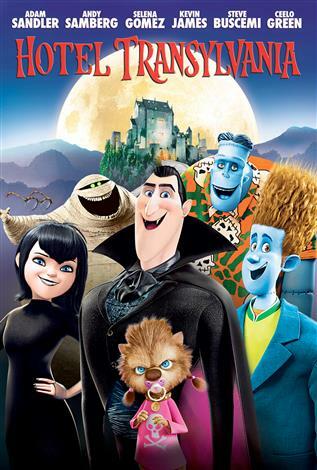 Welcome to the Hotel Transylvania, Dracula’s (Adam Sandler) lavish five-stake resort, where monsters and their families can live it up, free to be the monsters they are without humans to bother them. On one special weekend, Dracula has invited some of the world’s most famous monsters – Frankenstein and his bride, the Mummy, the Invisible Man, a family of werewolves, and more – to celebrate his daughter Mavis’s 118th birthday. For Drac, catering to all of these legendary monsters is no problem – but his world could come crashing down when one ordinary guy stumbles on the hotel and takes a shine to Mavis.